It’s snowing here in Boulder and time for me to catch up on some reading! Guest edited by Marla Mallette, this special issue from Research in the Schools focuses on ‘Literacy and Social Networking’. The articles can be accessed online at http://dtm10.cep.msstate.edu/rits_191.htm. As you can see from the table of contents below, the authors address a broad range of topics, from Diane Barone’s article on young children’s experience with social media and Web 2.0, to Frank Serafini’s piece on reading multimodal texts in the 21st century, to Don Leu and Elena Forzani’s article on Web 2.0 – now and into the future! Blaine Smith and I also have an article in this issue about how teachers design Internet-based literacy and learning lessons with Strategy Tutor, a free online authoring tool developed by Cast, Inc. (www.cast.org). Enjoy reading and please post a comment, question, or related resource. Mallette, M. H., & Mthethwa, P. M. (2012). Guest editorial: Web 2.0 and literacy: Enacting a vision, imagining the possibilities. 19(1), i-iv. Barone, D. M. (2012). Exploring home and school involvement of young children with Web 2.0 and social media. 19(1), 1-11. Dalton, B., & Smith, B. E. (2012). Teachers as designers: Multimodal immersion and strategic reading on the internet. 19(1), 12-25. Serafini. F. (2012). Reading multimodal texts in the 21st century. 19(1), 26-32. Alvermann, D. E., Hutchins, R. J., & McDevitt, R. (2012). Adolescents’ engagement with Web 2.0 and social media: Research, theory, and practice. 19(1), 33-44. Beach, R. (2012). Uses of digital tools and literacies in the English language arts classroom. 19(1), 45-59. Karchmer-Klein, R., & Shina, V. H. (2012). 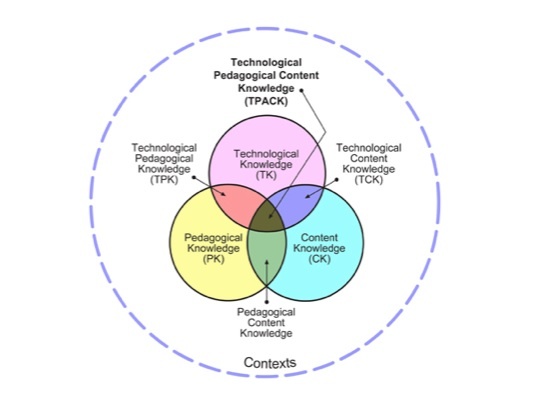 21st century literacies in teacher education: Investigating multimodal texts in the context of an online graduate-level literacy and technology course. 19(1), 60-74. Leu, D. J., & Forzani, E. (2012). Discussion, new literacies in a Web 2.0, 3.0, 4.0, …, [infinity] world. 19(1), 75-81. 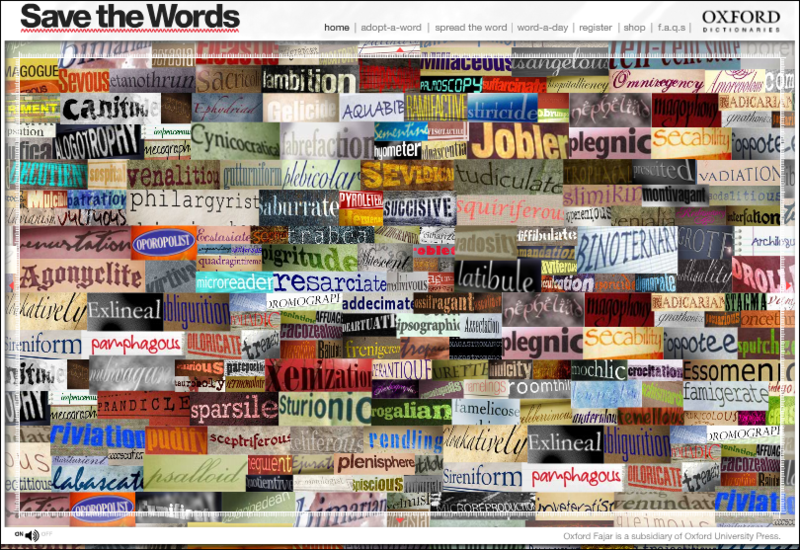 A post from Bridget One of my grad students, Isabel Bauerlin, brought my attention to this quirky vocabulary website from Oxford University Press, savethewords.org. Unusual (dare I say, archaic?) words call out to you when moused over, “Hey you, adopt me!”. Of course, with adoption comes commitment – you must swear to incorporate the word into your speaking vocabulary (well, okay, perhaps your writing vocabulary). 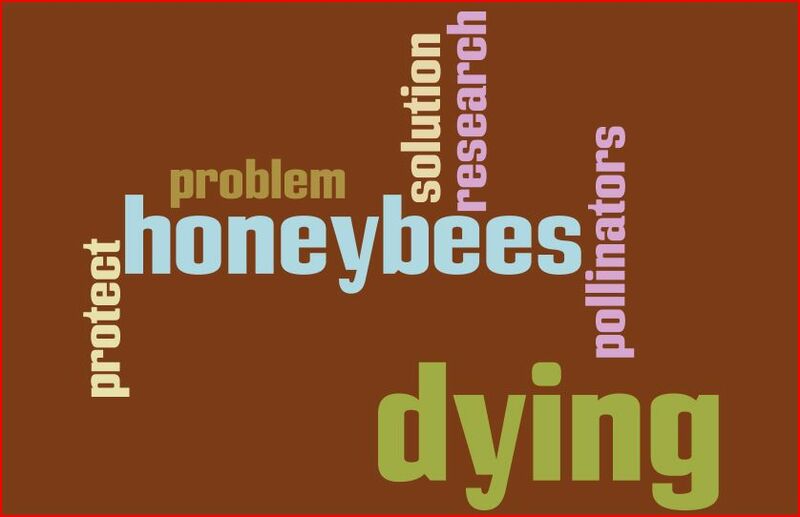 Just for fun, hold a weekly adopt-a-word day in your class. Have two or three students make a case for adopting a word and then have the class vote for their “adoptee”. The challenge is to see how creatively the word can be woven into conversation in and out of class during the week. In no time at all, you will find your vocabulary knowledge gumfiating (swelling, that is!). Verily, your students will find this activity to be locupletive (enjoyable), contributing to the word consciousness and playfulness that is at the heart of vocabulary development. Enjoy! Okay, here I go. My first blog. What is important enough to share? Maybe I won’t worry so much about importance (for whom, after all? It should be important to some, of course, and certainly important to me).